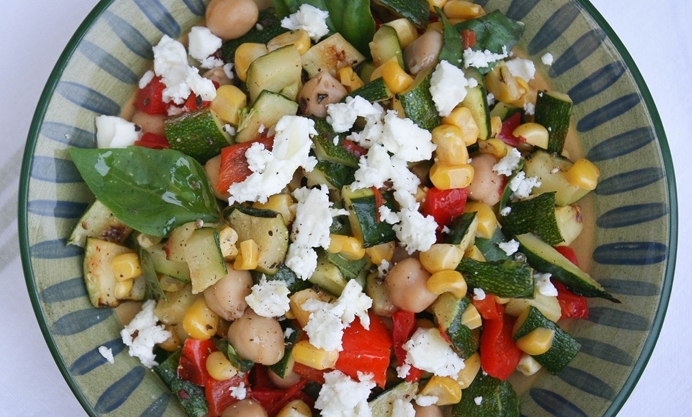 This delicious chickpea salad recipe with grilled vegetabes makes a great light, healthy lunch. 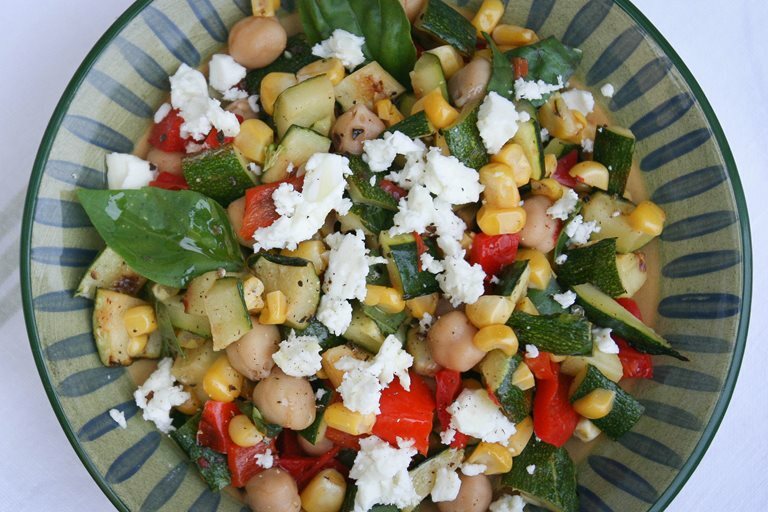 Simply combine sweetcorn, courgettes and basil to make Monica Shaw’s delicious salad. The summer sun this week inspired me to put these vegetables to the barbecue for a quick and easy summer lunch salad that makes a great side to any BBQ, but is equally substantial and tasty enough to work as a veggie main dish (which also happens to be gluten-free). I added feta, but you could omit it or substitute avocado and/or pine nuts for a totally vegan dish. 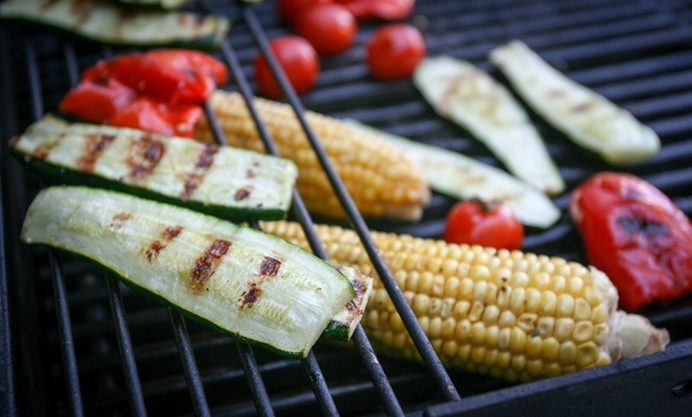 If you don’t have a BBQ, feel free to stir-fry or roast the vegetables instead. The basil - combined with a bit of lemon - are really the key ingredients here.